Welcome to Jewish Cincinnati's Community Calendar! Search for an event or post a new event. If you are posting an event, please be sure to indicate your event category and follow the date guidelines. If you need assistance, contact Debbie McBeth 513-985-1580 or dmcbeth@jfedcin.org. 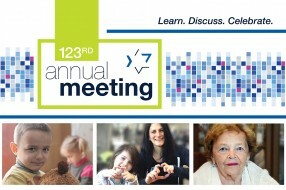 Please join us for the Jewish Federation's 123rd Annual Meeting. Please RSVP. LEARN what we accomplished together, and what’s next for our community. for an evening with friends, dessert and inspiration.